Finally got the trans back from rebuild and buttoned up, two months later from purchase I finally got to drive this rig!! 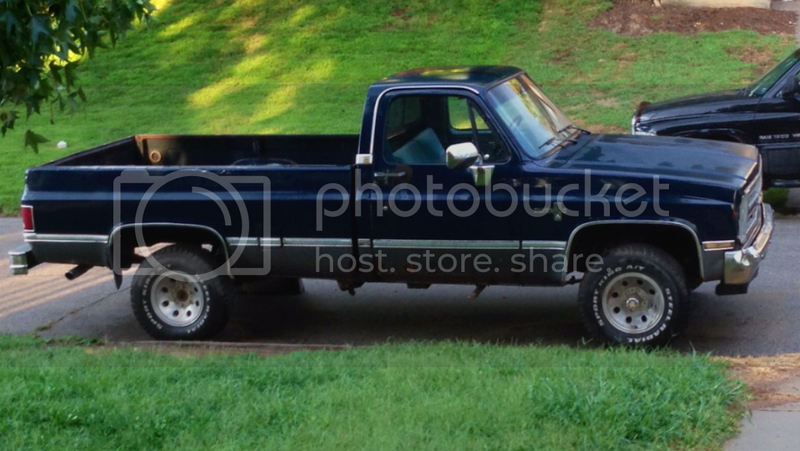 Here's my 1986 K10 Scottsdale, it not a restoration, except for some paint ion one side its original. Would you guys like to see the Update of the 73/89 Super Kustom Flat Bed? Here is my 1979 K10 LWB. My daughter named it King Neptune. And since she is the Princess, I have to keep the name. Specs: 350, th350. NP203. Not sure what axles or gearing. No rust except for surface rust on the rear bumper. Not sure about the floor boards yet. But they feel solid. Here's my old 1975 I got rid of a few years back. 100% stock with 35x12.5x15 BFG Mud Terrains. He's got mean nasty FANGS!